Manufacturer of a wide range of products which include oil cleaning machine and oil filter machine. 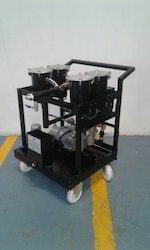 We have with us a range of Oil Cleaning Machine that can remove contamination down to less than one micron from hydraulic oils. These systems are suitable to be installed permanently on any hydraulic power-pack as a by-pass oil cleaning unit. Manufactured using quality components, our range is appreciated for its application specific design, sturdy construction and user-friendly operations. Owing to our distinguished business strategies and understanding of this business arena, we are immensely affianced in presenting an inclusive grade compilation of Oil Filter Machine. 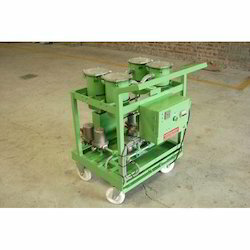 Looking for Oil Cleaning Machine ?